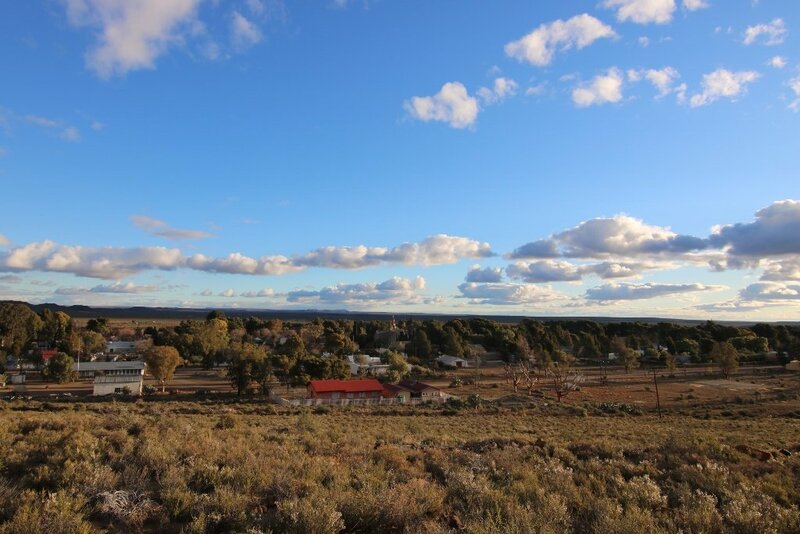 We head to Loxton mid-morning for an overnight stay. It is a short thirty-minute drive on an open road from Carnavon. 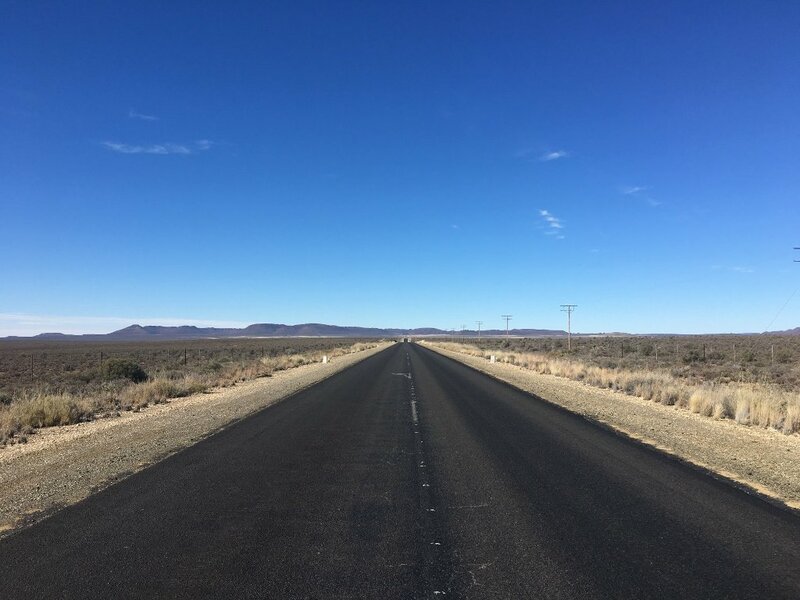 There is not another vehicle in sight on this dusty Karoo road. 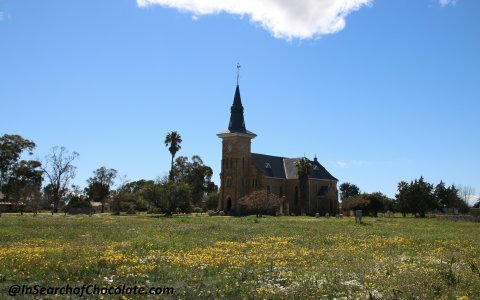 Most people see Loxton through their rear-view mirror as they are passing by en-route to another destination. 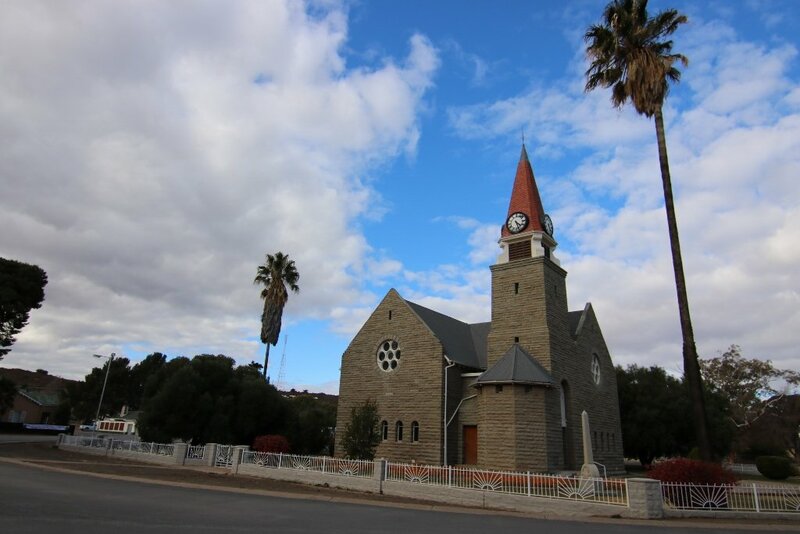 The town has gone through a transformation over the past years, after it was flooded and rebuilt, and we were keen to see this picturesque Karoo gem. The first thing we notice as we drive into town is the local hospitality. Locals are very friendly and go out of their way to assist you. It is a town where strangers greet you as they pass you in the street. Don’t be surprised if drivers wave to you as they drive by, a strange slight for a city slicker! After a short drive, we arrive at our destination. We check in at the Rooi Granaat and have a bite to eat. The owner is very friendly and welcoming. She goes out of her way to assist us with a request. 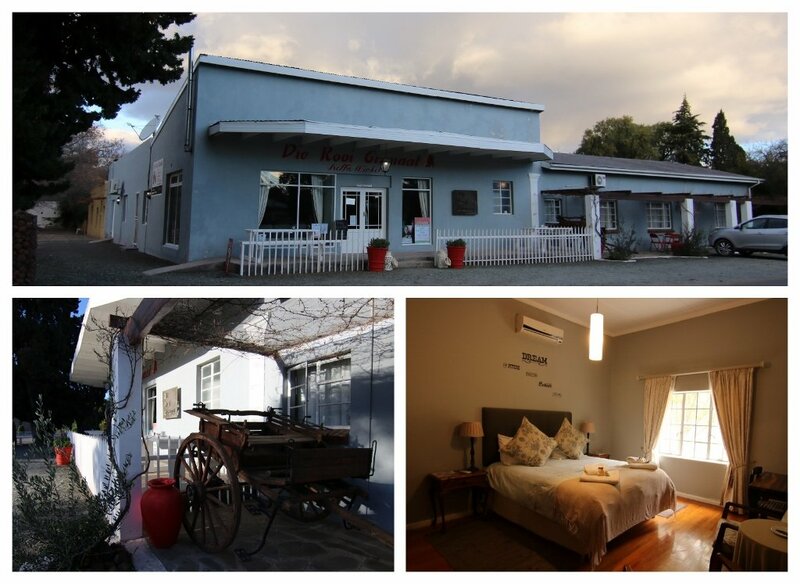 The guesthouse, shop and café, are all located on one adjoining property. We browse around the shop and find it stocks a variety of autographed books by Deon Meyer, who is a well-known Afrikaans novelist and has a house in town. After we checked into our room, we familiarise ourselves with the town. The main street, is lined with trees over 100 years old. We take in the silence and the sounds of nature as we walk around town a second time, but it is cold. The temperature is close to zero degrees outside and our fingers are turning blue. We turn back to fetch gloves and warmer jackets, and head up to the top of the hill for a better vantage point. We are hoping to see the sunset and the town from the top. The sunset is beautiful and worth the icy wind blowing. We get some good photos and head back to the guest house for a warm drink. We see a single horse on one of the properties, this is definitely a one horse town. 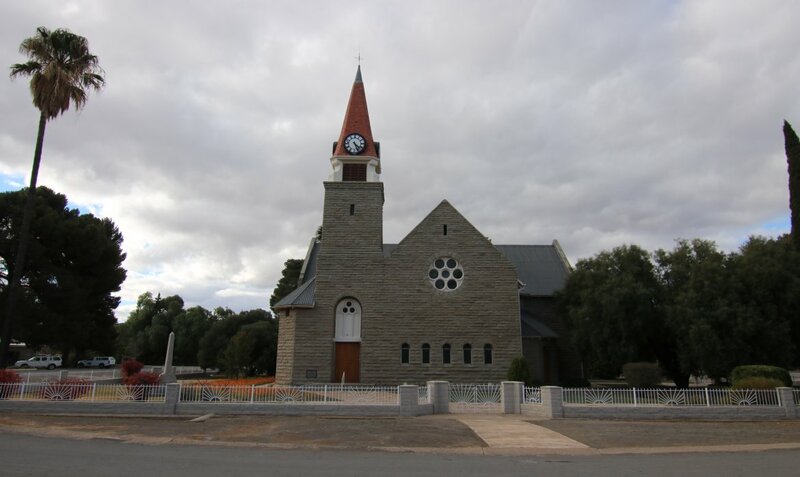 Loxton is small village and there is not a lot happening. It is home to an old Truck museum that features old trucks from the Second World War. There are some interesting displays around town. Take a walk up the local hill for a view over the town and perfect for sunsets. There are photographic opportunities all around town, perfect for photographers. 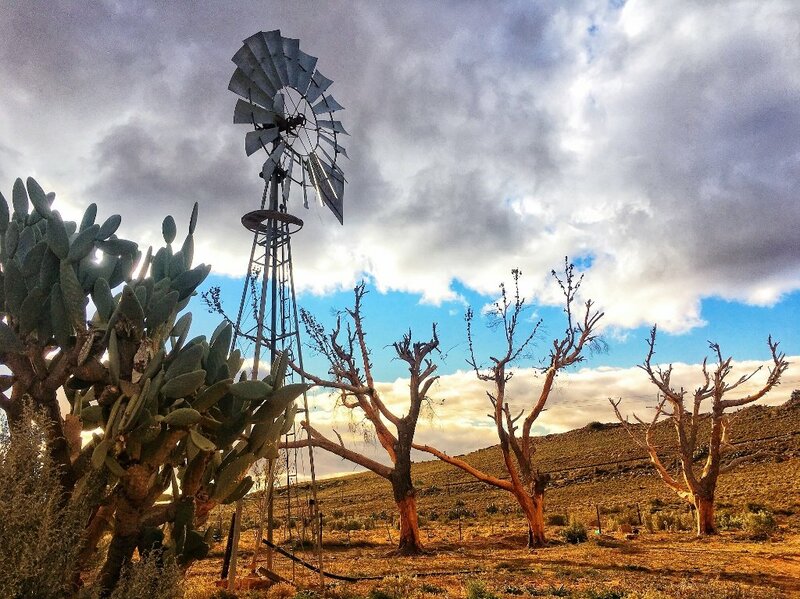 My husband and I enjoyed strolls through the town and photographing Karoo gems like windmills. 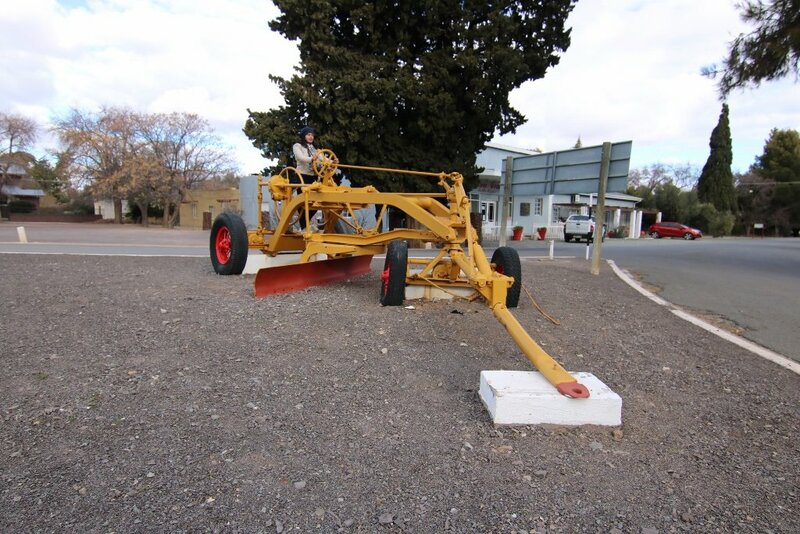 Loxton is a very small town, and it will take you about 30 minutes to walk through town. We found some fossilized rock on the rocky path on the hill, which appear to be traces of river bed. 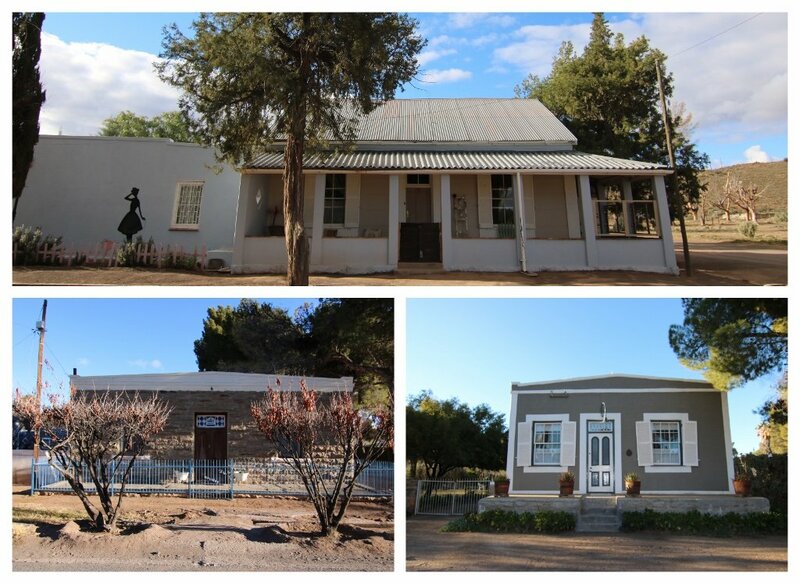 Some of the appeal of visiting small Karoo towns are the unique Karoo vernacular architecture. Loxton is one of these towns, known for their historic houses. We found that the historic and other town houses in town are generally well maintained. Where houses in town were restored, they have been done in an authentic manner. Loxton is the headquarters for the riverine rabbit working group. This riverine rabbit can only be found in the Karoo. We were fortunate enough to spot some when we were out stargazing. The riverine rabbit is one of the most endangered mammal species in the world. They have distinctive long ears. The town is so small that the general dealer only sells basic suppliers. It is best to bring whatever you need with you. There is no official petrol/fuel station, but you can buy fuel at the local general dealer/ co-op. Take a short drive out of town for dark skies and star gazing. 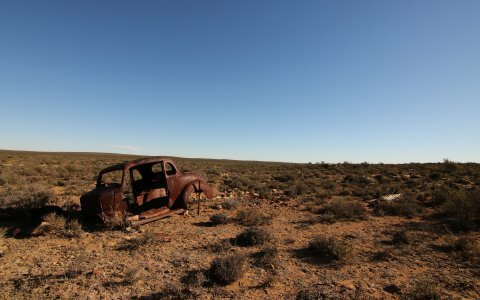 You will be able to see the Milky Way clearly on a clear night in this part of the Karoo. Until next time, more Karoo adventures await. We drove to Loxton from Carnavon, as it only 60 kilometers away. 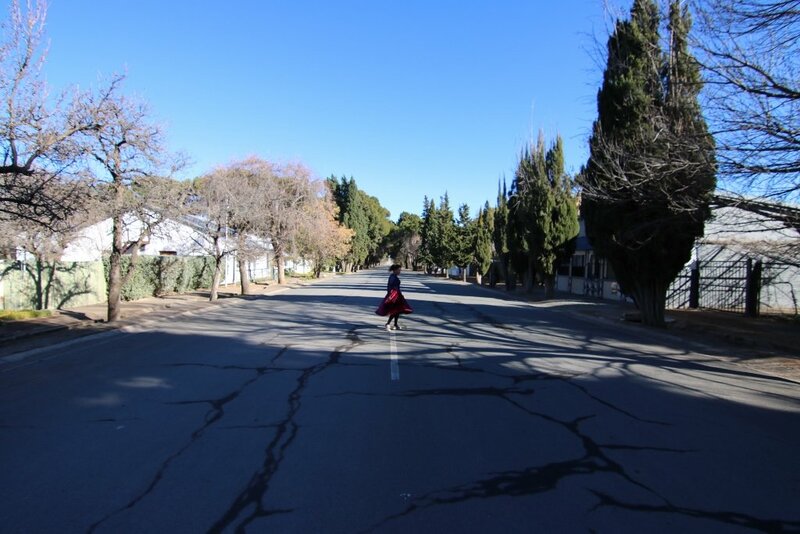 It is located at a crossroads, in the Karoo. Depending on which route you take, it is about 600 to 700 kilometers from Cape Town, definitely off the beaten path! Some truly nice and useful info on this web site, likewise I conceive the layout holds great features. Thank you, glad you are finding the posts and information useful.